We’ve just updated a previous and consistently popular and searched-for-article on favorite towable models, by model years that are still acceptable and safe to tow, so this is our version 2.0. Some models are great for towing but making a car model current, such as the years 2016-2018, does not make them more towable. Or, now towable at all. Transmissions change. Computer integrations under the hood (or boot), have changed and tech has evolved. Example, for a 2017 Jeep Wrangler Rubicon Hard Rock Edition, the Roadmaster base plate kit you can use is part # 1444-3 which will fit your Hard Rock so long as you do NOT have the American Expedition Vehicles bumper. These base plates work with Roadmaster’s motorhome-mounted tow bars, such as the Falcon 2 Tow Bar # RM-520 or the all terrain version # RM-522. Each model requires specific kits. Sometimes, you just have to have a truck. 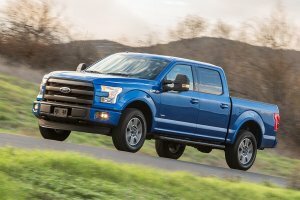 Several pickups, such as the 2015 Ford F-150 with four-wheel drive and an automatic transmission, can be flat towed. Most year’s models all work well as tows. Makes the choosing easier. Just because it’s towed like a dinghy doesn’t mean it can’t be fun to drive. 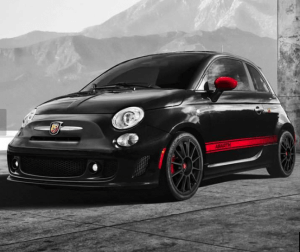 When equipped with a manual transmission, the 2015 Fiat 500 is rated for flat towing and can provide a nice change of pace after hours behind the wheel of a motor home. 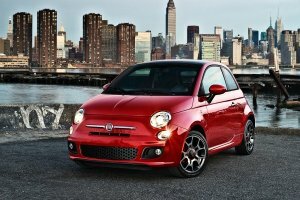 Check new models for the manual transmission and current rating for flat-towing. Newer models are still applicable, but always check your owner manuals for specifics. You will hear that statement often throughout this article. 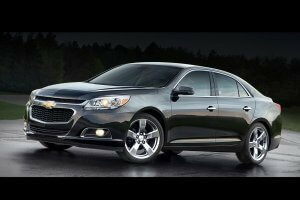 There are front-wheel-drive cars with automatic transmissions that can be flat-towed, and the 2015 Chevrolet Malibu is one of them. Be aware though, the 2016 cannot be flat towed. 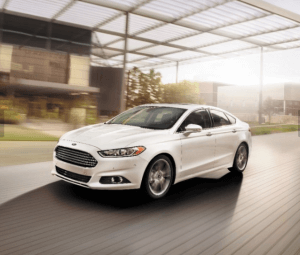 The 2016 model’s transmission won’t allow for a tow with the engine off. Motor homes can be a great way to travel: letting you stay at a campsite, alongside a picturesque stream, or even on the street at Aunt Carole’s for the annual family get-together. But things change when you need to run into town for groceries, or want to take a sightseeing trip after you’ve set up camp. Driving a huge rv along narrow, twisty roads, then navigating in urban traffic and next, trying to find parking spots and paying for the additional fuel it is consuming, can be anything but pleasant. This is not what we thought of when dreaming of the rvlife and road trips. 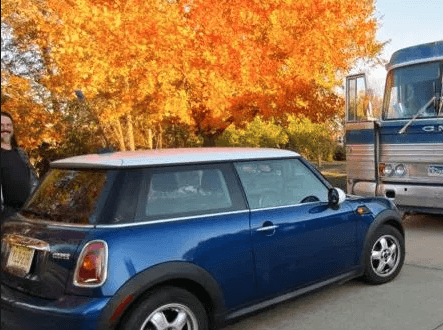 With a small car or truck available however, motor home travelers don’t have to stow all their gear and pull up the stakes every time they want to go somewhere. That’s why it is not uncommon to see big RVs pulling smaller vehicles behind them. 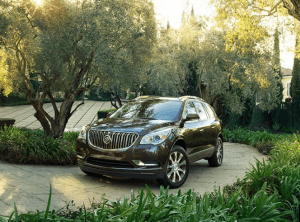 That extra set of wheels, often in the form of a little SUV or subcompact car, makes it so much easier to get around. Sightsee as you like, shop for needed groceries, head to the movies, search out that beach or perfect sunset. All in your road and gas-friendly car or truck. If you’re not planning on staying in your motorhome for these off-the-cuff, spontaneous moments or day’s sudden inspiration, having a vehicle to indulge your off-itinerary adventure is just the thing. We love the idea of a towed vehicle with a motorhome. With two-wheeled dollies and four-wheeled trailers, almost any vehicle can be towed behind an RV, provided that the weight of the car or truck and whatever is being used to facilitate the tow doesn’t exceed the motor home’s recommended towing capacity. But that kind of towing isn’t all that popular, for good reasons. First, there’s the expense of buying and maintaining a trailer or tow dolly. Then, there’s the storage space at home and at that campsite that those conveyances require when not in use, as well as the extra work needed to get the towed vehicle on and off of them. It’s quite a bit of work and feat of mobility to manage a trailer as your vehicle carrier. But things change. Today the plethora of electronic transmissions and front-wheel and full- and part-time four-wheel-drive systems require a bit of advance planning when one is selecting flat-towed cars and trucks. Toyota, for instance, makes several vehicles that would seem ideal for flat towing. For hearty off-road adventurers there are the Land Cruiser and the FJ Cruiser, the latter still popular although it’s not in current production. While they’re fine on their own on rough terrain, the company’s four-wheel-drive trucks don’t make the grade when it comes to flat towing. 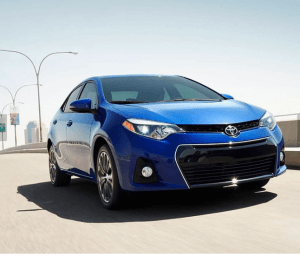 “It all has to do with transmission lubrication,” says Dave Lee, a product training and education specialist at Toyota Motor Sales. Lee is an avid off-roader and outdoorsman. 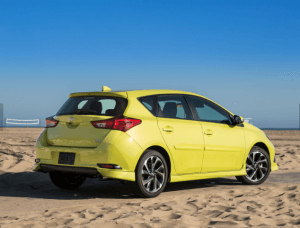 No Toyota, Lexus or Scion (except now the 2016 Scion iM, which is towable), vehicle with an automatic transmission is suitable for dinghy towing, Lee says. And the company’s manual transmission vehicles aren’t all designed the same. Some require continuous operation of a pump inside the transmission to keep the moving parts lubricated, and those can’t be towed four-down. With automatic transmissions and pump-dependent manuals, the output shaft isn’t being lubricated unless the vehicle’s engine is running, and severe transmission damage can occur if they are towed with the driven wheels rolling along the highway, turning the driveshaft or, in the case of front-wheel-drive cars, the half-shafts. Typically, a vehicle can be pulled dinghy-style if it has rear-wheel drive and a manual transmission, or four-wheel drive and a manual transfer case that can be placed in neutral, says Chrysler Group spokesman Nick Cappa. 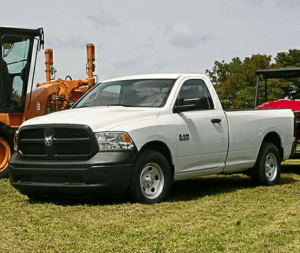 Chrysler’s Jeeps and Ram pickups are popular dinghy vehicles. The best way to make sure a vehicle is suited to flat towing is to check the owner’s manual. 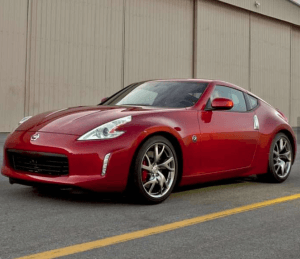 Virtually every automaker states clearly in every model’s manual whether it can be towed on all four wheels or whether it must be hauled on a flatbed truck or trailer or pulled “two-down” with the driven wheels off the ground. For a quick overview, Motor Home magazine publishes annual lists of dinghy-towable vehicles. They are available for download at no cost, back to the 2000 model year. If your vehicle isn’t suitable for flat towing, there are devices, including driveshaft decouplers and transmission lubrication pumps that can be added to some automatic transmission vehicles to handle the job. The devices can be expensive and complicated to install and maintain, though. And if they’re not used correctly, the engine or drivetrain components can be damaged while a vehicle is being towed. That can leave owners with warranty problems. If you already have a vehicle you’d like to flat tow and it isn’t factory rated as suitable for flat towing, most RV dealerships and repair centers carry and can install decouplers, lubrication pumps and other such devices. If you are looking for a towable vehicle, it’s best to concentrate on those that are factory-ready. 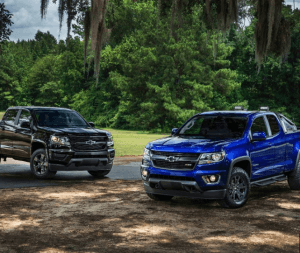 To keep from looking through hundreds of owner’s manuals for details on tow readiness, thin the list of candidates by deciding what kind of towed vehicle will best suit your needs: a 4×4 if you like to go off-roading, for instance. Then decide what you can afford to spend. If you aren’t sure of what’s out there, Edmunds.com’s Car Finder allows you to search by vehicle type and price range. It can help you create a list of candidates that meet your requirements and fit your budget. 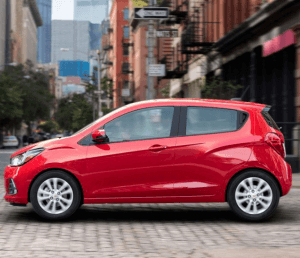 Over the years, Edmunds editors have reviewed some of our long-term test fleet cars for their ability to be flat-towed, including the 2012 Chevrolet Sonic (yes), the 2012 Honda CR-V (yes), the 2014 Mazda CX-5 (no) and the 2013 Subaru BRZ (another no). While dingy towing makes things easier once you’ve arrived at your destination, it can add work before and during the journey. Vehicles with steering locks triggered by the ignition switch, and that’s most of them these days, can’t be flat towed if the front wheels won’t turn. The key must be in the ignition and the ignition switched to the accessory position in order to unlock the steering.Don’t assume that because previous years’ models were towable, this year’s will be as well. The Ford Escape was a popular dinghy-tow vehicle with the RV crowd. But it was redesigned for 2013 and no longer is certified to be pulled along with all four wheels on the ground. Finally, all but eight states require most vehicles being flat-towed to be equipped with auxiliary brake systems that work in tandem with the motor home’s brakes. That’s because flat-towed vehicles almost always exceed the various states’ minimum towing weight requirements. 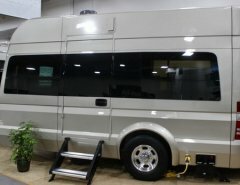 Smart motor home owners who tow a car or truck know that even in those states that don’t require them, auxiliary brake kits should be considered essential. Once you think you’ve found a vehicle that will suit you, the best next step is to get a copy of the owner’s manual. Often, you can find them online. Everything you’ll need to know about pulling the car or truck dinghy-style will be in the manual, including detailed instructions as to which fuses to pull (if any), the proper position for the transmission shift lever, which switches to leave on and which to turn off, and how often to run the engine for lubrication. 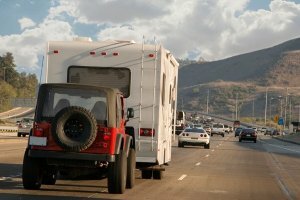 There are several items needed to flat tow your 2017 Jeep Wrangler Unlimited behind an RV: base plates, a tow bar, safety cables, lighting, and supplemental braking. For base plates you can use the Roadmaster base plates # RM-521448-4. Please note the base plates do not fit Hard Rock or 75th Anniversary models. We have linked a video showing an example installation for you. For a compatible tow bar you can use the popular Falcon 2, # RM-520. I have linked a video review of this tow bar for you to check out. For safety cables I recommend # RM-643. The coiled design helps keep the cables off of the ground. Next for lighting diode kits such as # RM-15267 are very popular for Jeep owners. After the initial installation you will not have to worry about it again. I have linked a video showing an example installation for you. You may also need a high/low adapter to keep the tow bar level. We have linked a help article showing how to measure and a link to the high/low adapters we carry. And finally, most states now require supplemental braking on the vehicle being flat towed. One of the preferred systems for our installers and what we recommend is the SMI Stay-IN-Play DUO proportional system, # SM99251. It will apply the vehicle brakes in proportion to how much the tow vehicle is braking. This is the safest way to stop and it reduces wear and tear on both vehicles. The # RM-88400 relay is required to prevent the towed vehicle’s brake signal from overriding the turn signal from the RV when applying the brakes during a turn. Again: be sure to always consult your vehicle owners manual for specific information on flat towing the vehicle. 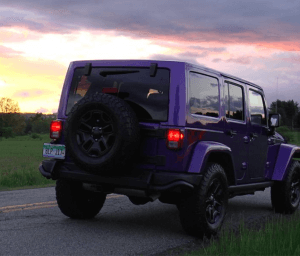 One of the most popular vehicles to flat tow is the Jeep Wrangler, including Wrangler Unlimiteds. These vehicles are easy to set up to pull behind your motorhome and are fun to drive once you reach your destination. For complete flat towing setup on a 2007-2018 JK Wrangler or Wrangler Unlimited with a standard factory bumper, you will need a number of components, including base plates, a tow bar, safety cables, towbar wiring, and a supplemental braking system. 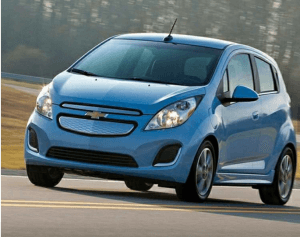 Redacted and originally written by John O’Dell, Contributor to Edmunds.com 12/07/2015. ***RT’s comments: While there are more than several handfuls of cars and trucks that are readily capable and worthy of towing (aside from checking with owner’s manuals) we advise checking with user’s experiences with particular car models and the year models. While a dealer may say that they will honor the owner’s manual claims on towing, significant hassles may be involved in repairs and replacement parts. To reduce down time of your “towable”, and therefore your travels, we suggest doing some research first and we’ve tried to site examples and resources. 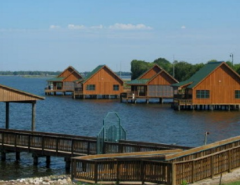 Start with Motor Home’s list in this article of dinghy towables. 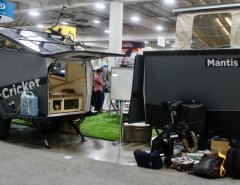 We took our own advice and researched further to come up with this 2.0 article on tried-and-true towable cars for your RV. Happy towing!